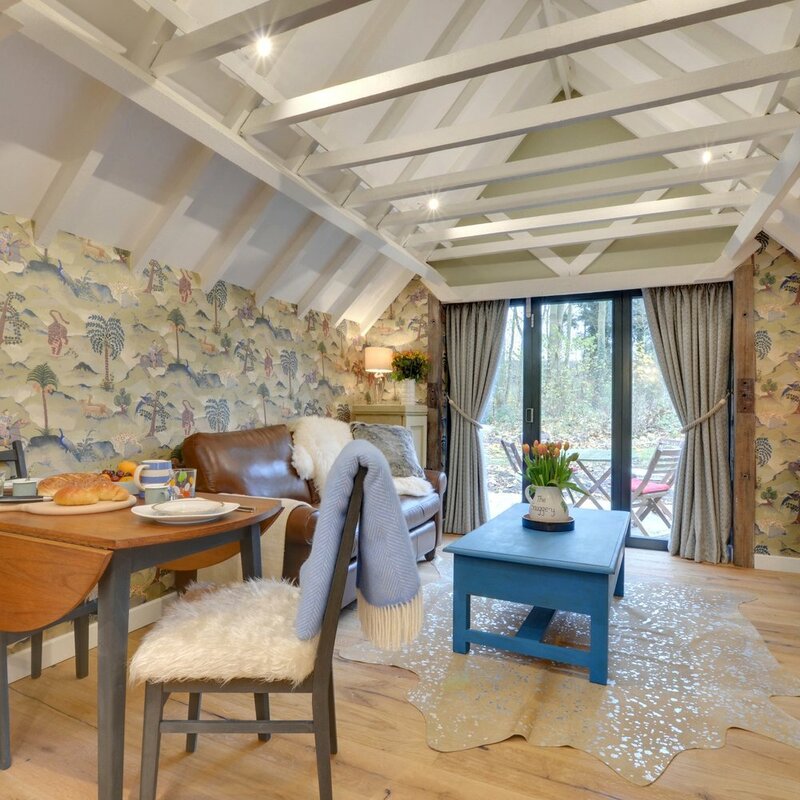 The Snuggery is the perfect bolt-hole, located on Kent's North Downs. It is situated in the grounds of our Grade II* home in an Area of Outstanding Natural Beauty in the pretty hamlet of Upper Bush surrounded by beautiful countryside. Discover a colonial meets country interior, a cosy wood burning stove and lots of snuggly wraps to cuddle up in. Walking enthusiasts and culture lovers will enjoy The Snuggery with walking trails starting from your doorstep onto the North Downs Way and Historic Rochester only 15 minutes drive away.